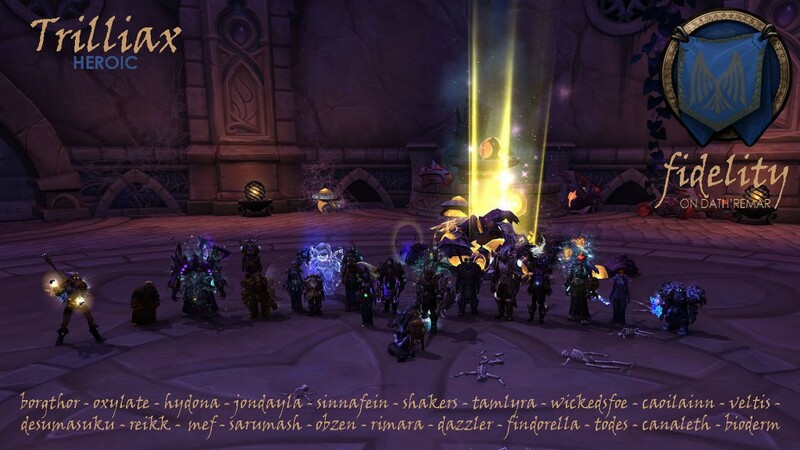 We killed Trilliax on heroic difficulty on the same night as Chronomatic Anomaly in 7 attempts. Our average iLvl was 884.5, meaning the previous kill yielded an average 0.6 iLvl increase across the raid. I think from chat in raid and on discord, Trilliax is shaping up to be one of our favourite encounters from Nighthold. I’m not sure if it’s the cake or the robots, but even with the spinning beams of death which we’ve all seen before, the encounter feels novel and unique. The two major issues were deaths to Annihilation (we even finally saw it change directions in heroic), and Scrubbers blowing up with Cleansing Destruction. Once we sorted those out, we scored a convincing (if messy) kill, on the very last pull of the night.